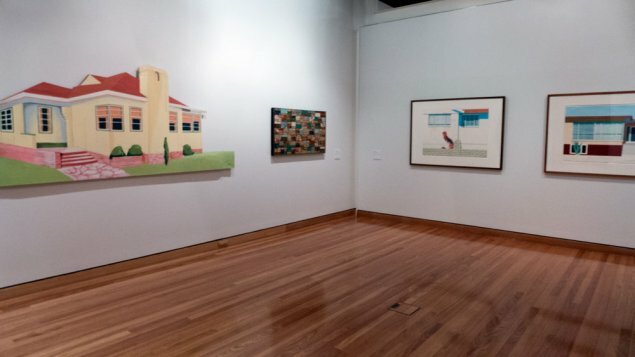 The Canberra Museum and Gallery has a major exhibition of local visual arts with the focus on artists’ views of life in this city. 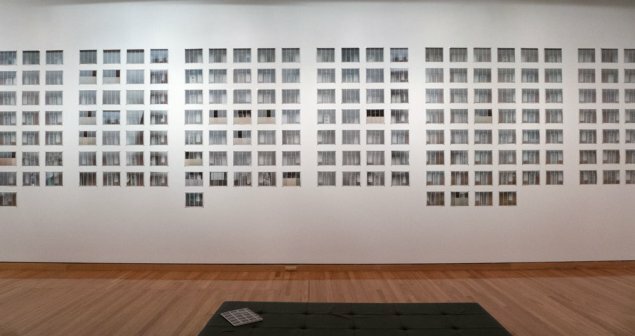 This is an exhibition of art created in the Canberra region about where people live as opposed to the usual image of the city as the national capital. Hence the title Urban Suburban. So if you want to see images of national institutions, monuments and the parliament, this is not the exhibition for you. The curator has selected works from the gallery’s collections dating back to the 1960s. The media statement says that this is an exhibition revealing the rituals and experiences of life in Canberra. The exhibition is worth the visit but do not expect to see images of loads of activities happening within the suburbs. In fact the curator’s take on this city is very selective with the most activity being exhibited being that of a flock of cockatoos in a photograph by William Yang. Many of the images are devoid of people with an emphasis on the places we inhabit – while all the people must have been somewhere else (having coffee in Braddon?). I enjoyed the exhibition but was not convinced that the curator had “revealed the rituals and experiences of life in Canberra” — maybe a few but not many. The exhibition has 104 works by 32 artists in a variety of media, including a healthy number of photographs. I recommend a visit to the Canberra Museum and Gallery in Civic to take in this exhibition. It is open till 21 June 2015.